A couple of weeks ago I was kindly invited to the opening of the new M&S Foodhall in Bourne which is about 20 minutes from where I live. Seen as M&S sell THE best mint imperials (and the promise of a few of these thrown in) I happily agreed to pop over on the opening day. 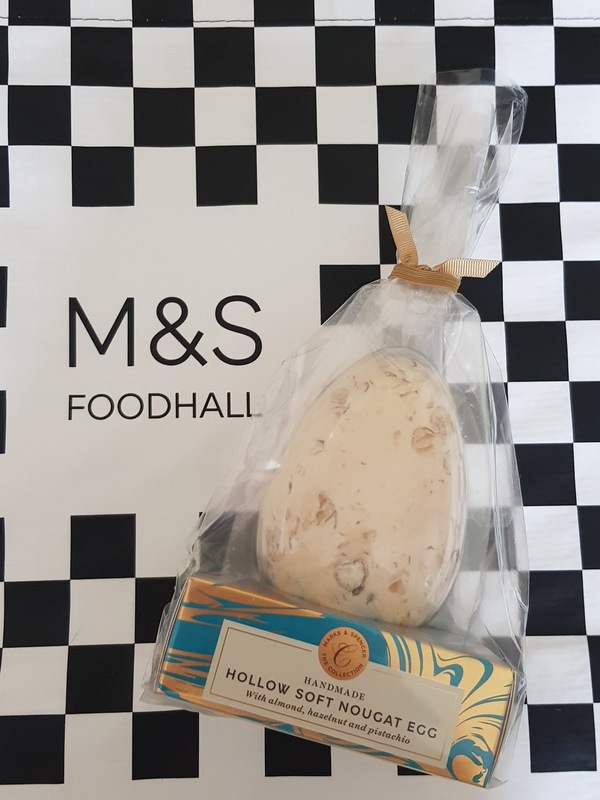 I really love food from M&S, have done for many years, it holds a certain amount of nostalgia for me also as I remember Saturday shopping days out with my parents being followed with a trip to M&S to get some Saturday night TV food......ahhhh the memories. This is a picture heavy post, please enjoy! 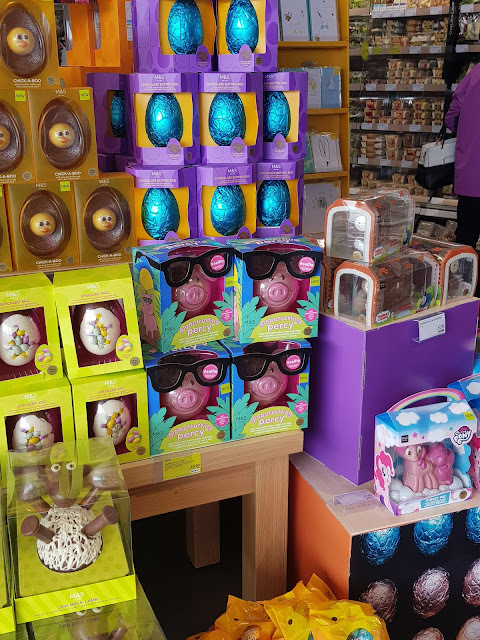 I arrived at The Burghley Shopping Centre at 11am and it was clear to see that the store was already bustling! The brilliant thing about where this M&S is situated is it has a large car park conveniently situated right outside making it very accessible. The store had officially opened at 10am and Store Manager, Isabel Meyer marked the opening with 50 of her colleagues. 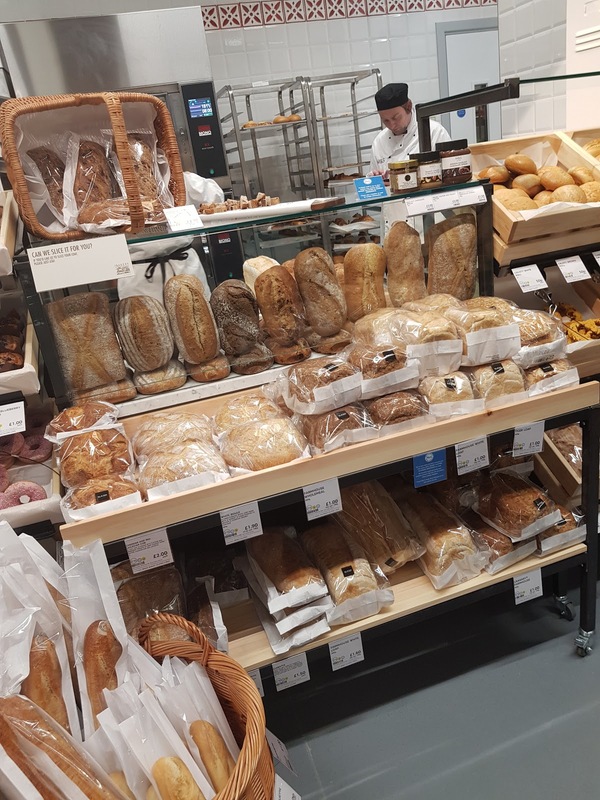 Many customers commented that they were delighted that the foodhall had come to Bourne and I overheard some saying that it was 'just what Bourne needed' as I was walking around. It was clear to see as I was being shown around the excitement and enthusiasm from the customers. I was shown around by Rory who was very knowledgeable and passionate about the brand 'M&S', he knew his stuff that is for sure. They say you learn something everyday and that was certainly the case. 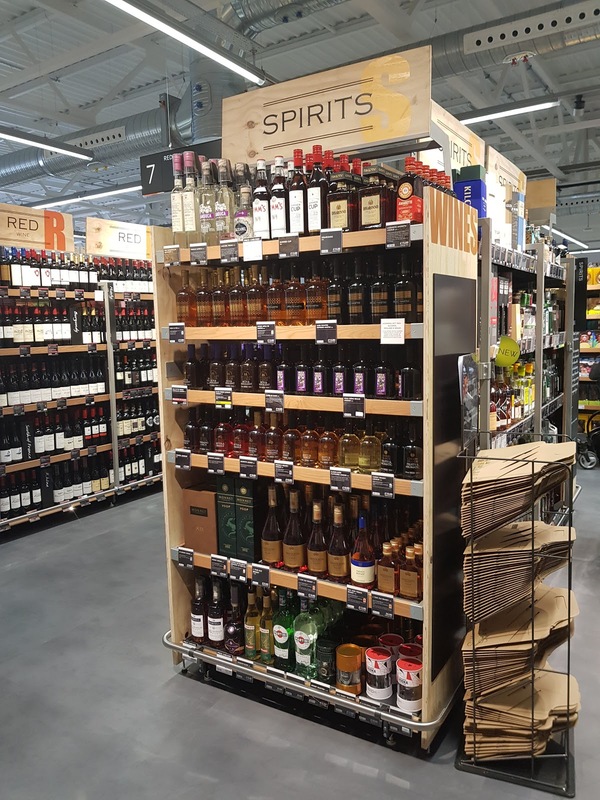 For example, did you know what an extensive spirit selection is stocked? 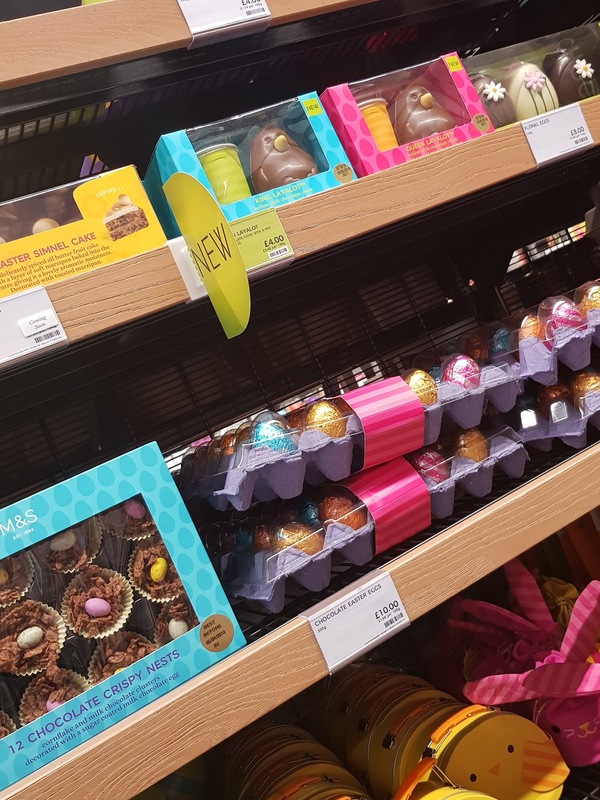 Seriously, next time you're in an M&S foodhall take a look, there are some very interesting and unique selections there, something that M&S pride themself on. 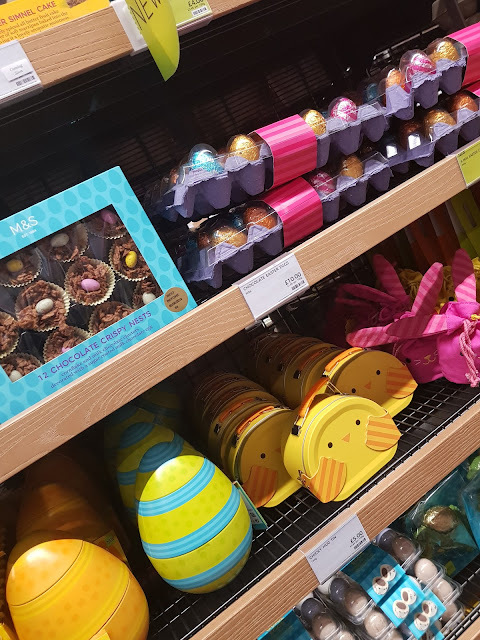 There was also THE largest selection of hot cross buns I've ever seen. 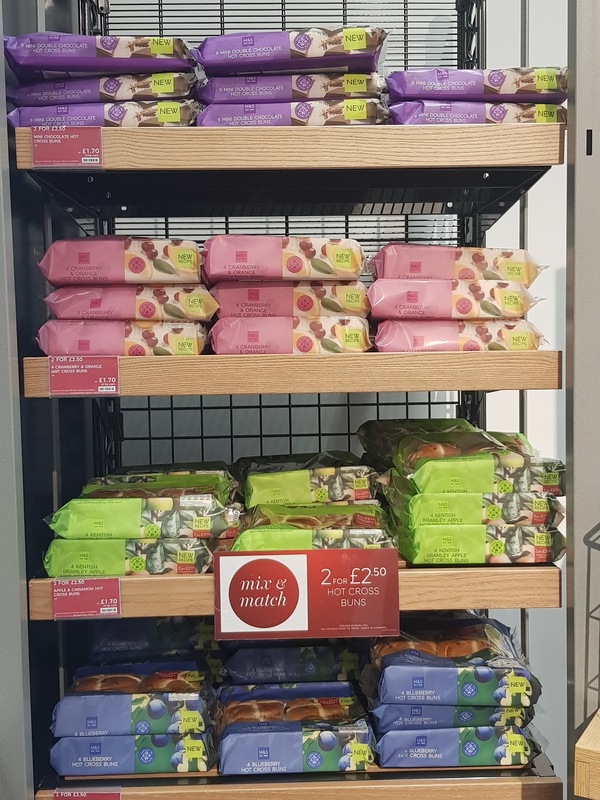 SO many flavours to choose from, I couldn't resist the salted caramel and chocolate and blueberry ones and I can tell you that were absolutely delicious, so much so I have gone on to purchase these again, I've also heard that the Kentish bramley apple ones are also really good. 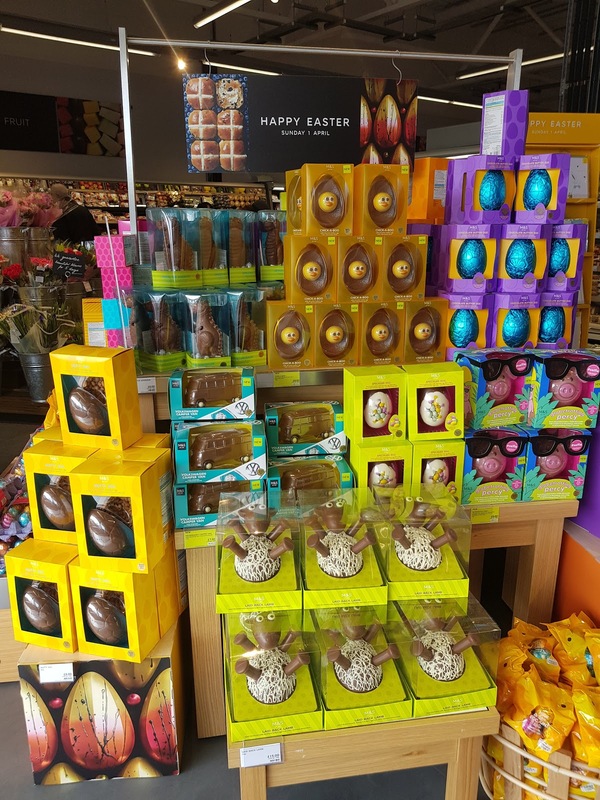 I just hope that they still keep these in stock even though Easter has been and gone as they are so delicious. 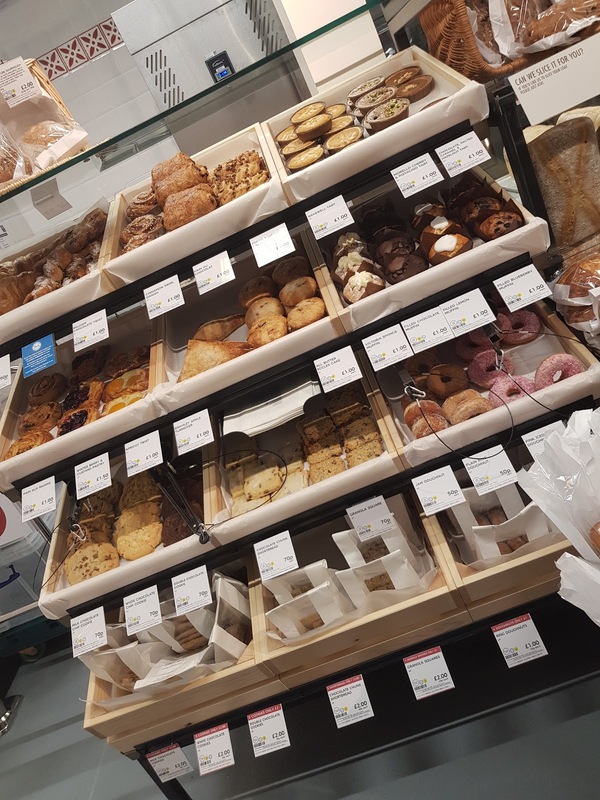 There is also a fresh bakery on site and has 3 bakes a day so there is fresh produce available throughout the day - how good is that! There is nothing more delightful than the smell of freshly baked bread wafting through a food store, mmm mmmm. 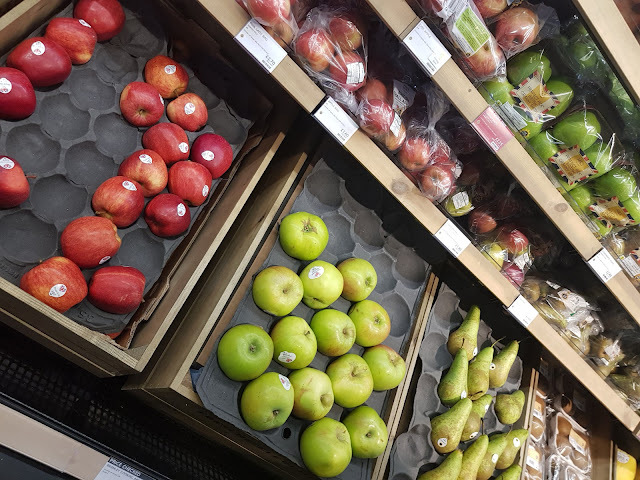 Seriously though, there is nothing worse than stale bread so having the availability of fresh produce throughout the day is brilliant. 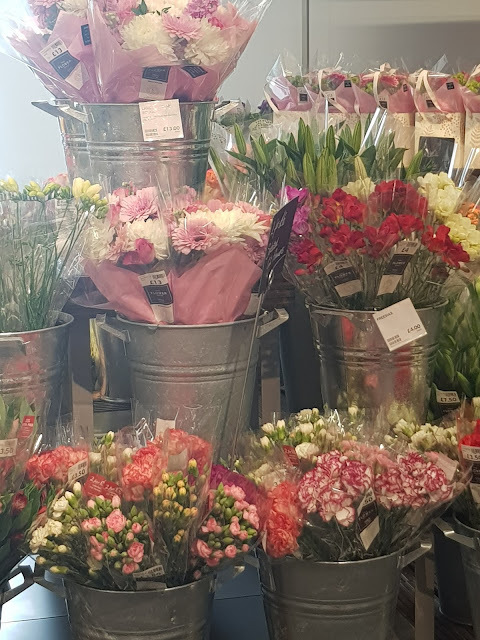 A beautiful selection of fresh blooms are also available so it isn't all about food as you can see! 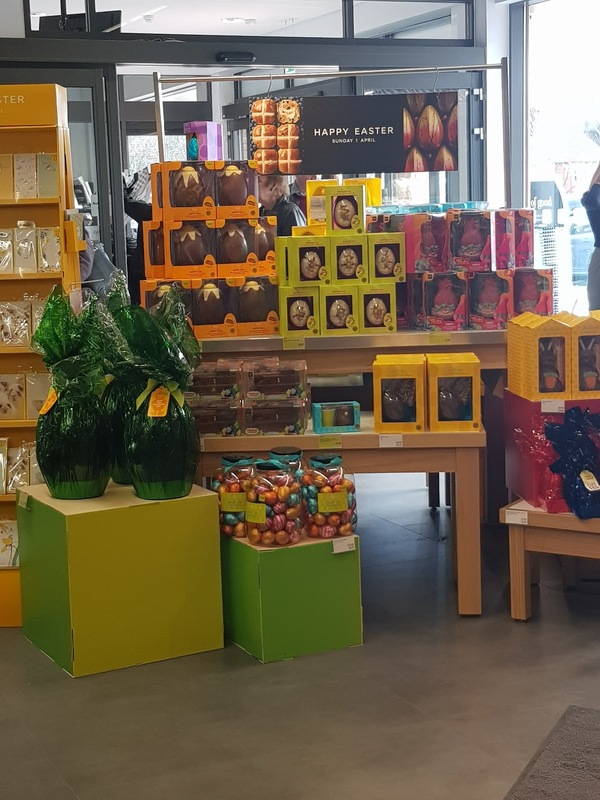 M&S foodhalls also stock daily newspapers, magazines and a beautiful selection of gift cards. As Rory continued to show me around he also told me that they try to source lots of fresh produce locally which makes me very happy as I am huge supporter of buying locally. Alot of the fresh produce was from Spalding which isn't far away from Peterborough at all. 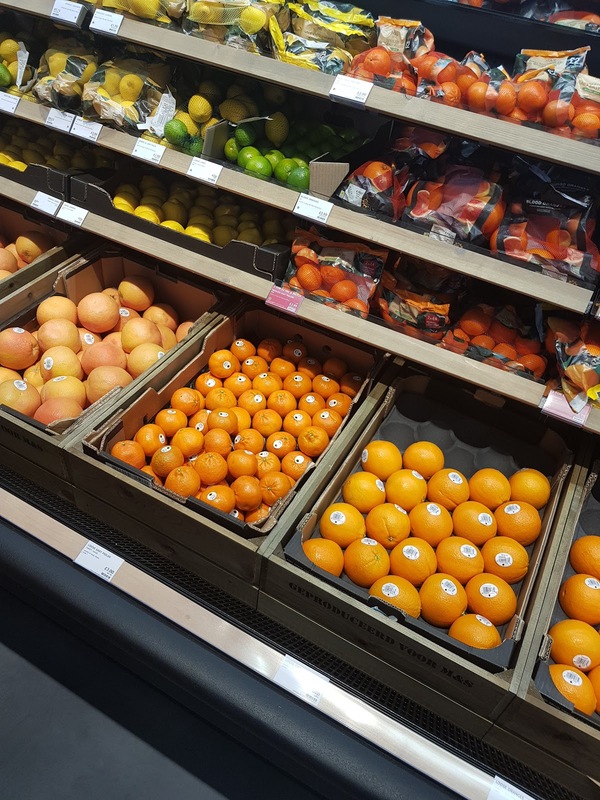 I think you'll agree to say that all the fresh fruit and veg looks very inviting. 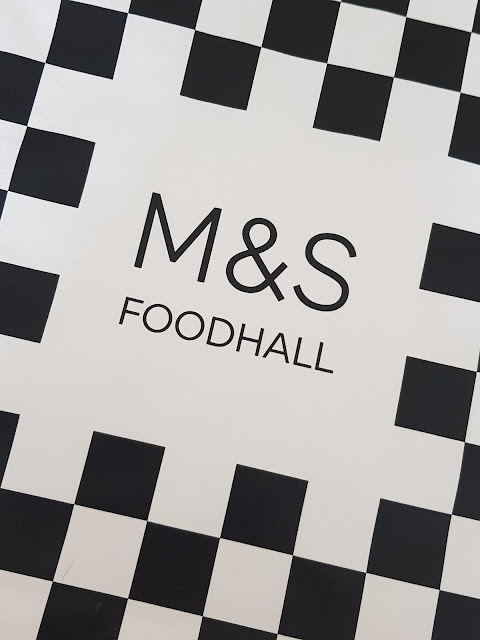 There is also a click and collect service available for when using M&S.com. This enables next day delivery for items such as clothing and home ware delivered to the store free of charge. This is particularly handy at Bourne where there isn't an actual M&S on the doorstep so being able to have clothes etc delivered here is very beneficial. After been shown around the store I was given a lovely bag filled to the brim with M&S goodies, I just wanted to feature a few of the things that were in it chosen for me and a couple of items that I added myself. First up, this delicious nougat egg, I am a huge nougat fan and having never seen a nougat egg before I wanted to try it out. I can confirm it was delicious, soft and squishy flavoured with vanilla, honey and nuts it so good I wish I had bought a couple more! 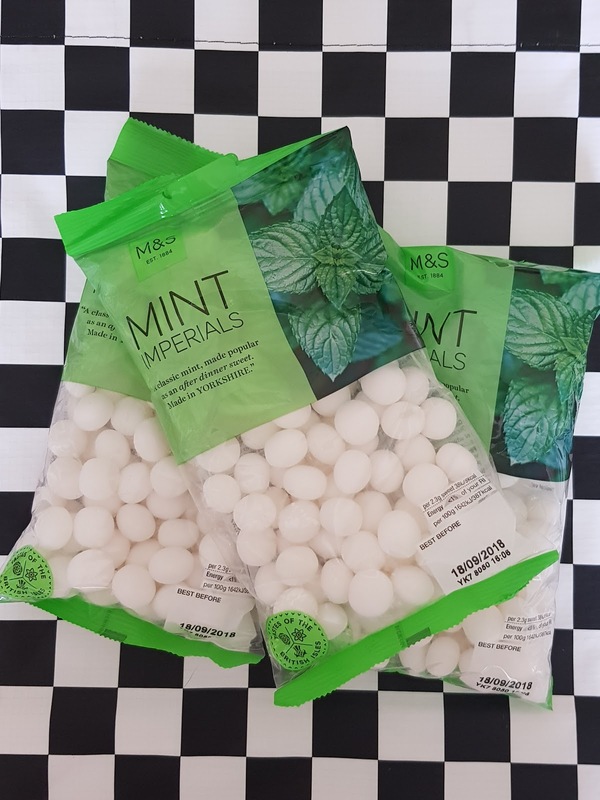 Of course, I couldn't not mention THE best mint imperials! I had a slight addiction to mints, especially mint imperials but they've got to be the ones that are slightly chewy and not crumbly with a nice minty taste and not too over powering.....I know, I know very specific but these M&S ones really are my favourite so I always like to keep stocked up! A selection of Easter goodies, I especially loved these quail eggs, I bought some last year so was very pleased to be able to add these to my goody bag. 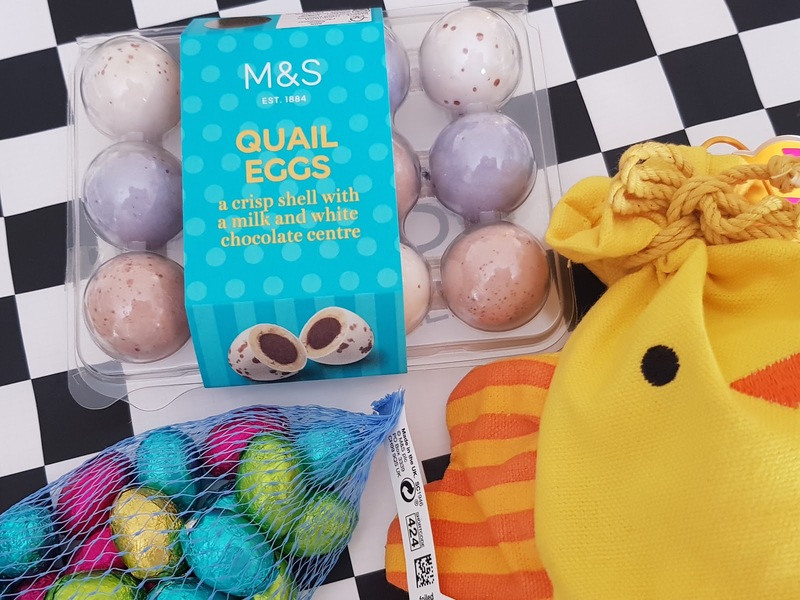 There was also a lovely selection for the kids included too, how cute is the little chick bag and inside it's full of brightly coloured foil wrapped eggs, so sweet! 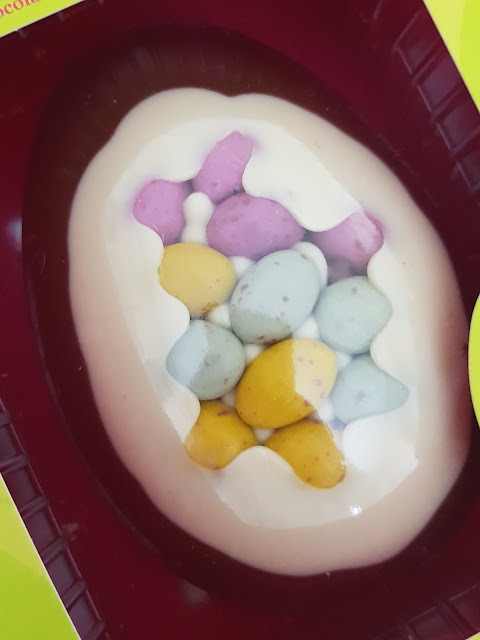 I also love the sugar coated chocolate egg featured below, delicious! Overall the new M&S store at Bourne is a welcome addition to the town. 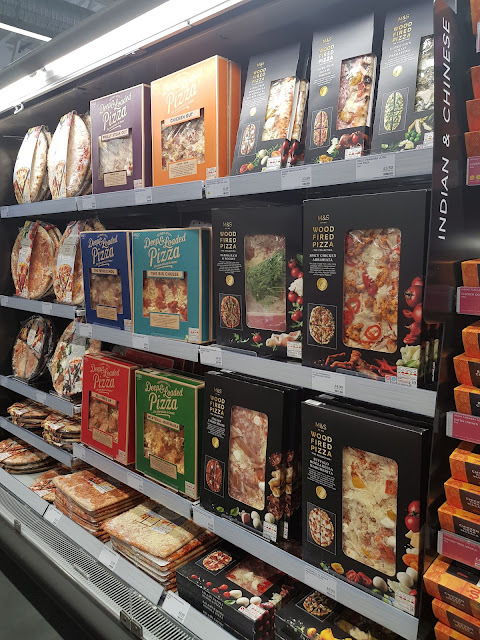 Fortunately for me I have a new foodhall that opened not long ago where I work in Peterborough so I can also have the luxury of popping to M&S to get everything that the foodhall has to offer as Bourne isn't particularly local to me. It's very tempting I have to say as like mentioned at the beginning of the post I love M&S. 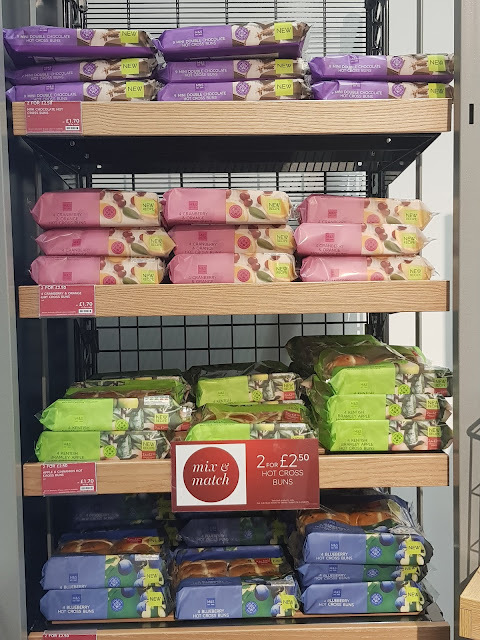 Thanks for inviting us to look around M&S! * Written in collaboration with M&S. I am just flat impressed with how clean and organized this place is! Their selections sound absolutely incredible!